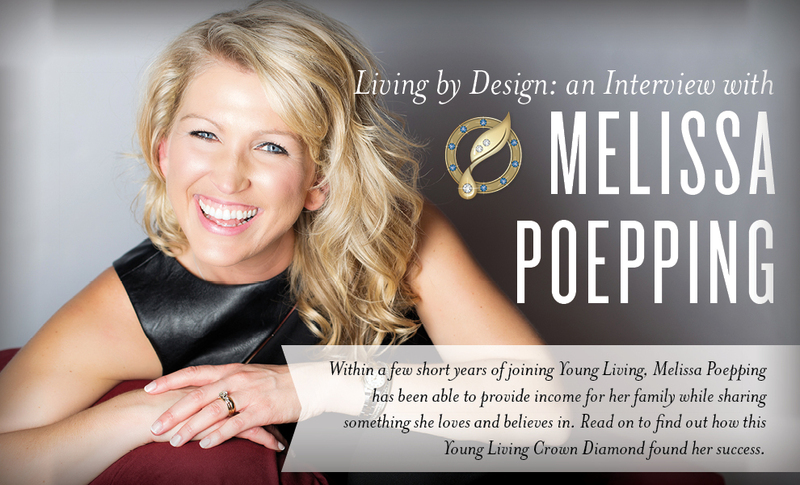 Melissa Poepping is a Young Living Crown Diamond who lives on a busy little hobby farm in central Minnesota with her husband and three children. 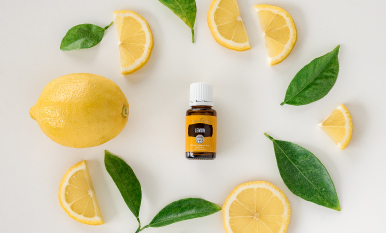 They have been using essential oils since 1998 and began using oils in their everyday lives in 2005 after welcoming their first child to the family. 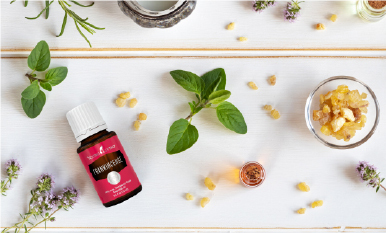 Essential oils have found the way into every aspect of their daily lives and into every corner of their home. Melissa recently hosted her annual Spirit of Wellness Event in St. Cloud, Minnesota, where more than 600 members were in attendance and raised $31,000 for the D. Gary Young Foundation. 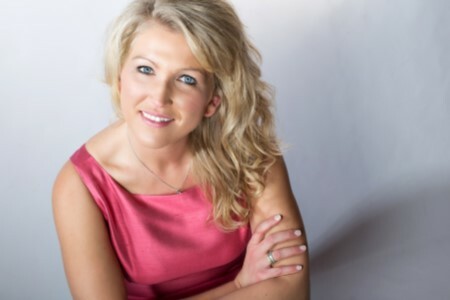 After witnessing the enormous impact Melissa has on those around her, we wanted to spend a few minutes with her to learn more about her journey with Young Living. How did essential oils make an impact on you and your career? I was working 70–75 hours a week as a mortgage broker for 10 years in an intense, high-stress environment. I took the work and the stress home with me every day, and it started taking a toll on me physically and emotionally. A friend introduced me to essential oils, and I began to implement them into my daily life. After the birth of my first child in 2005, I realized I couldn’t leave her and go back to work. I became acutely aware of everything in our home and sought out ways to create the best possible environment for her. 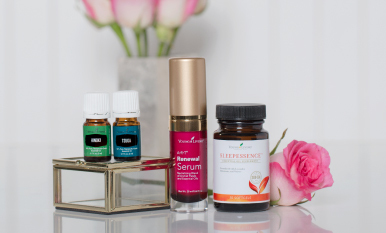 As I began to use more Young Living oils and products in my home, I felt an emotional connection. I realized I could provide income for my family while doing something I loved and believed in. What was the greatest challenge you faced as you started your business? My own fears were my greatest obstacle. For the first few years after my daughter’s birth, I tried a variety of work-at-home jobs. In the summer of 2010, I took a leap of faith and decided to give Young Living 100 percent of my time and eliminated everything else. I had to step out in faith and face my fears. As soon as I let go and trusted, my whole way of thinking changed. When my focus was solely on making money, I struggled and found myself stuck. So I began imagining myself having financial freedom and asking myself, “How would a Diamond do this?” That’s when everything began to change. Where many would find defeat in challenge, I found opportunity. It’s nothing short of breathtaking what happens when you begin to realize and achieve new visions, new goals, and new dreams by believing in your highest potential. In November 2014, four short years after I focused completely on Young Living, I reached Crown Diamond. I found that I have the ability to create my own future, and circumstances do not define me. 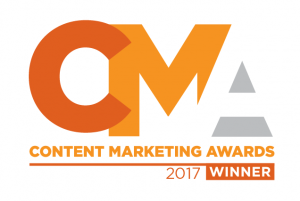 I eagerly share my story with others and take great joy in seeing them achieve their goals. What has being part of Young Living done for your family? Being part of Young Living allows my husband, Wayne, and I to raise our three children, be present in every moment, and live life as a family free of many common worries. I have the opportunity to educate others and share my journey with them, with the flexibility to do it without missing out on my children’s lives. This is an opportunity I never would have had in my prior career, and I am grateful every day to be there for my family. I can also empower other moms to do the same for their families, which motivates and recharges me. I thrive on motivating women to step out of their comfort zone to achieve their goals and still be able to play a vital role in their families. With all that you have already accomplished, what keeps you motivated to achieve more? What I believe in is simple: I believe that at the core of each and every one of us is the desire to accomplish great things, the dream to achieve more than we thought possible, and the determination to leave this world better than the day we found it. I believe that we have a responsibility to impact generations to come and an obligation to show others how to duplicate our foundation. I believe that this is how you leave a legacy. Thank you for your time and inspiration, Melissa! What part of Melissa’s story inspired you the most? Let us know in the comments!